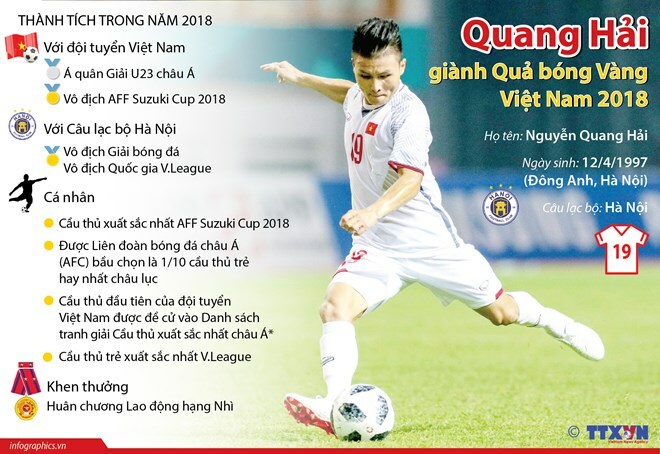 The organisers – the Ho Chi Minh Communist Youth Union Central Committee and the Vietnam Fund for Young Talents – announced on January 25 that the nominees include Miss Universe Vietnam 2017 H’Hen Nie, who made it to the top five in the global Miss Universe 2018, and renowned midfielder Nguyen Quang Hai, who secured the most valuable player (MVP) award at the ASEAN Football Federation (AFF) Cup 2018. All of them showed outstanding achievements in national construction and defence, specifically in the fields of science and creativity, production, business and startups, administrative management, security and safety, sports, culture and art, and social activities. The jury made secret votes to choose the top 20 nominees on January 17. The names of the top 20 youths were publicised on a number of online newspapers – including Tien Phong, Thanh Nien, Ho Chi Minh City Youth, Vietnamnet, Dan Tri, and Hoa Hoc Tro – and the website of the Vietnam Television Channel 6 (VTV6) for public voting on January 25. The voting results will serve as a reference for the organisers to choose the top 10 in March. A number of online exchanges will be held with the nominees on the online newspaper sites. The awards ceremony is scheduled for March 19. The annual Vietnam Outstanding Young Faces Award is presented to 10 youngsters under 35 with excellent performances in their areas of specialty over the years, and especially in the year for which they have been nominated.